The summer dig at the tell unexpectedly revealed remains of an unknown city beneath the known Canaanite one. Several pottery vessels, a cache of cylinder seals, and a large scarab with the cartouche of King Amenhotep III attest to the existence of a previously unknown Canaanite city in the land of Israel, archaeologists say. Where was it hiding? Underneath another Canaanite city – the famous ruins of Gezer. The scarab and other artifacts were found this summer at a level dating from the Late Bronze Age (14th century BCE) in ancient Gezer, a major Canaanite city located along the strategic coastal highway between Egypt and Mesopotamia. The first signs that there was an unknown city lurking there were found by Dr. Steven Ortiz of the Tandy Institute for Archaeology at Southwestern Baptist Theological Seminary, and Dr. Samuel Wolff of the Israel Antiquities Authority, who have directed the excavations at Gezer for six seasons. They believe the hidden city was destroyed during the Egyptian 18th Dynasty's rule over the southern Levant, and the new Gezer was built on top of it. Amenhotep III, by the way, was the father of the heretic King Akhenaten and also grandfather to Tutankhamun, whose fabulous tomb was discovered in 1922 by Howard Carter and Lord Carnarvon. In the late Bronze Age, circa 1,400 BCE, Gezer, then the capital city in the region, was burned to the ground. Possibly it was another victim of the incessant internecine warfare between the Canaanite cities at the time, as described so evocatively in the well-known Tell el-Amarna correspondence. It was while digging into the remains of this known devastation that the momentous discoveries were made. The inhabitants of the proto-Gezer of 1,400 BCE were clearly Canaanites, said Ortiz. But artifacts found at the site indicate strong ties with Egypt. For instance, there is the small cylinder seal found at the site, just 2.5cm in height, bearing a rare image of the Canaanite god Reshef subduing his enemies. Reshef, a central god in the Canaanite pantheon, was – inter alia – in charge of diseases, plagues and conflagrations. In the seal he is portrayed shooting an arrow from a big bow towards about ten rivals depicted in states of submission and fall. 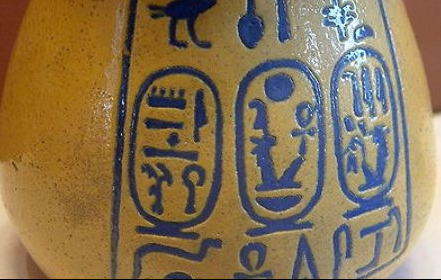 Worship of Reshef was common in the New Kingdom of Egypt period, says Ornan – and the cylinder seal from Gezer shows clear Egyptian influence. The miniature depiction of the god is done in the style of the awe-inspiring Egyptian embossments that show triumphs of the pharaohs. “The question is whether the Late Bronze Age Gezerites were supporters, or subjects, of the Egyptian 18th Dynasty," says says Prof. Tallay Ornan of the Institute of Archaeology at the Hebrew University. "We know that during the 14th century BCE, the king of Gezer was responsible for various conflicts within the region. The Late Bronze Age destruction either represents an Egyptian campaign to subdue Gezer, or local Canaanites attacking an Egyptian stronghold at Gezer." Gezer lies between Tel Aviv and Jerusalem. 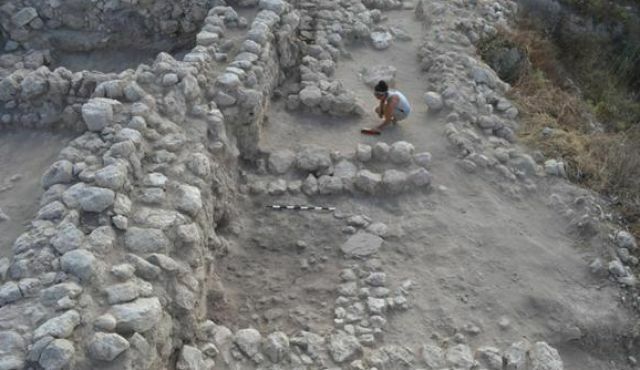 The archaeological team, some 80 staff and students from the U.S., Israel, the Palestinian Authority, Russia, Korea, and Hong Kong were removing a wall dating from later - the 10th century BCE, known as the Iron IIA period – and discerned a yet earlier city wall. They had vaguely known the wall was there, but had thought it was a subterranean support system for the later Iron Age wall, Ortiz explains. “It became evident that our original interpretation was wrong," she says. The lower wall had been built as much as 200 years earlier; the 10th century CE wall had been built on top of it after the city's destruction by fire. This earlier wall was one meter thick, and had several rooms attached to it. These rooms were filled with rubble nearly a meter in height, from catastrophic destruction. These earlier remains included shards from Canaanite storage jars, Philistine pottery and other items. A fragment of a Philistine figurine was also found. Since Gezer was Canaanite, says Ortiz, the Philistine pottery either represents trade relations or a group of Philistines living among the Canaanites. 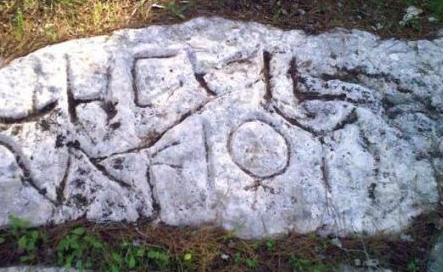 As for the Egyptian influence, according to the biblical account, Gezer was conquered by an Egyptian pharaoh and was later given to Solomon as a wedding gift when the Israelite king married the pharaoh’s daughter. Solomon is also recorded in the biblical account as having built walls around Gezer, as he did at Jerusalem, Hazor, and Megiddo, all sites currently under excavation. Excavations at Gezer have been regarded as a key to understanding and resolving the debate among biblical scholars and archaeologists regarding the appropriate chronology of events and ruling Israelite and Judahite kings. Gezer is also famous for its massive ancient water-tunnel system, which is also currently under excavation. 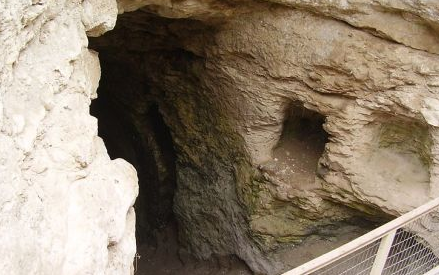 Last summer Dr. Tsvika Tsuk, chief archaeologist at the Israel Nature and Parks Authority, said the water system at Gezer was the largest Canaanite water system found in the country. It includes a large entrance carved in bedrock. From there, a 50-meter tunnel runs at a 39-degree slope. The tunnel is 7 meters tall and 4 meters wide. Tsuk and his colleagues, Jim Parker, Daniel Warner, and Dennis Cole of the Old Testament and Archaeology at New Orleans Baptist Theological Seminary, believe the water system was built in the Middle Bronze Age IIB (1750-1550 BCE). But it fell out of use around 1,300 BCE, based on pottery found at the end of last season’s work.